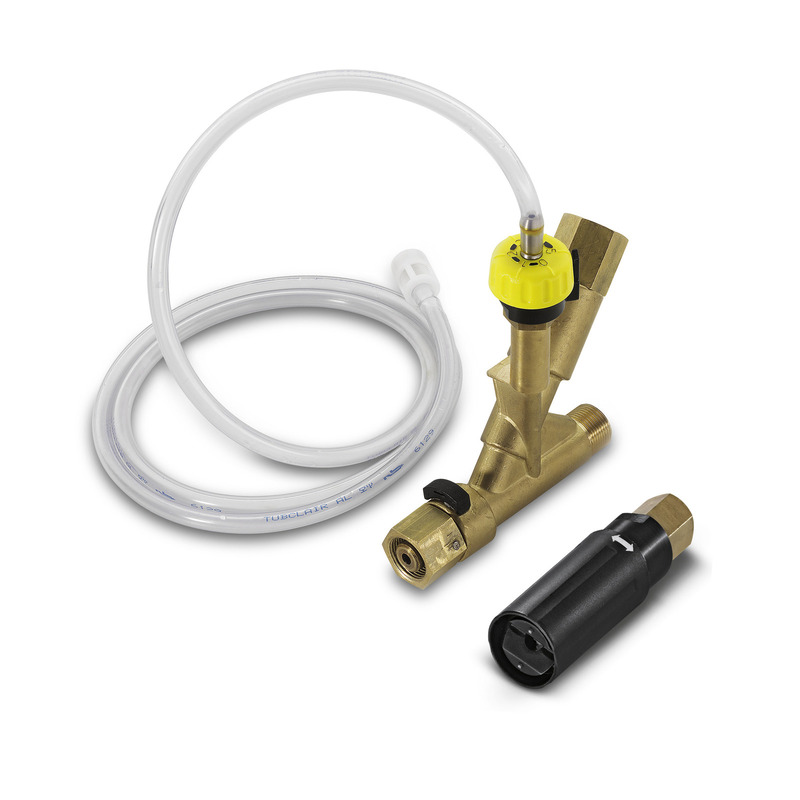 Easy Foam Set with RM injector 26406910 https://www.kaercher.com/ae/accessory/easy-foam-set-with-rm-injector-26406910.html HP foam system for use with. HD/HDS units for cleaning and disinfecting. Foam nozzle for connection to lance and HP chemical injector with precision 0-5% metering valve. The machine specific nozzle kit has to be ordered separately. HP foam system for use with. HD/HDS units for cleaning and disinfecting. Foam nozzle for connection to lance and HP chemical injector with precision 0-5% metering valve. The machine specific nozzle kit has to be ordered separately.